With the New Year right around the corner and a lot of change on the horizon, I thought I was due for a post to simply talk about what's going on lately and what my goals are for the new year. As much fun as it is to write about fashion and health and organization, sometimes it's a bit more fulfilling to write on a bit of a deeper level. A lot of my blogger friends (and real life friends frankly) and I are at this odd point of transition from childhood to adulthood that's caused me to do a lot of thinking lately. I'm turning 18 in February and am off to college next year, which means that more or less my childhood is over. Even though I'm definitely ready to be on my own and embark on a whole new chapter, the thought of the unknown is preeetty scary. All of it has caused me to think a lot about my past, present, and future, as deep as that sounds. Instead of talking about the future, I've been trying to look at the present and how I spend my time, since I have a few very short months left before I make a complete 180. And obviously, a big part of my present is my blog. Blogging is really a tricky thing. In order to feel like I'm consistently contributing to social media and updating everyone on what's going on in my life, I need to be constantly on my iPhone, tweeting my thoughts, Instagramming (usually) posed pictures and posting my surroundings on my Snapchat. While I obviously enjoy blogging, fashion, photography, etc (I wouldn't have a blog if I didn't! ), it's so challenging to find a balance between blogging taking over my life and having it a major part that I love. As you can probably imagine, it gets difficult to compete with bigger bloggers that are constantly traveling the globe with the newest lenses and designer clothes. I'm one of those people that is all about having a more simplified wardrobe with only pieces that I love, so then it's hard to constantly post pictures of new outfits with brand new clothes (which I don't frequently buy). To be honest, it's really demanding to maintain a blog 5/7 days of the week and then stay active on social media too. I definitely don't want to stop blogging anytime soon and don't intend to sound like I'm complaining, but I want people to know that behind the scenes it isn't simply a bunch of pretty jewelry and notepads and free clothes. While that is a part of it (and a part I do enjoy, let's be real) there's also a lot of pressure to keep up with the latest and greatest in the industry. A lot of people talk about creating a mantra to live by as we turn over a new leaf. In 2016, my goal is to "find balance" between every part of my life. From school to blogging to friends and family to sleep, working out, etc - I want to find a way to do it all without going crazy (or getting sick every other week like I practically do now). I may not ever be the blogger that is updating you on what I'm eating for every meal or what I'm wearing every day, and that's ok. Being active on my blog and social media is part of what I love about blogging, but for my own sanity, I'm going to really focus on taking breaks in 2016 and enjoying life without my iPhone constantly in my hands. That way, I think I'll feel more fulfilled both while blogging and while enjoying my life. Second semester senior year, here we come! Do you have a mantra for 2016? Comment below! I love this post, Caroline! I think its really important to take a step back sometimes and be honest about the overwhelming world of blogging. I hope you find your perfect balance in 2016! 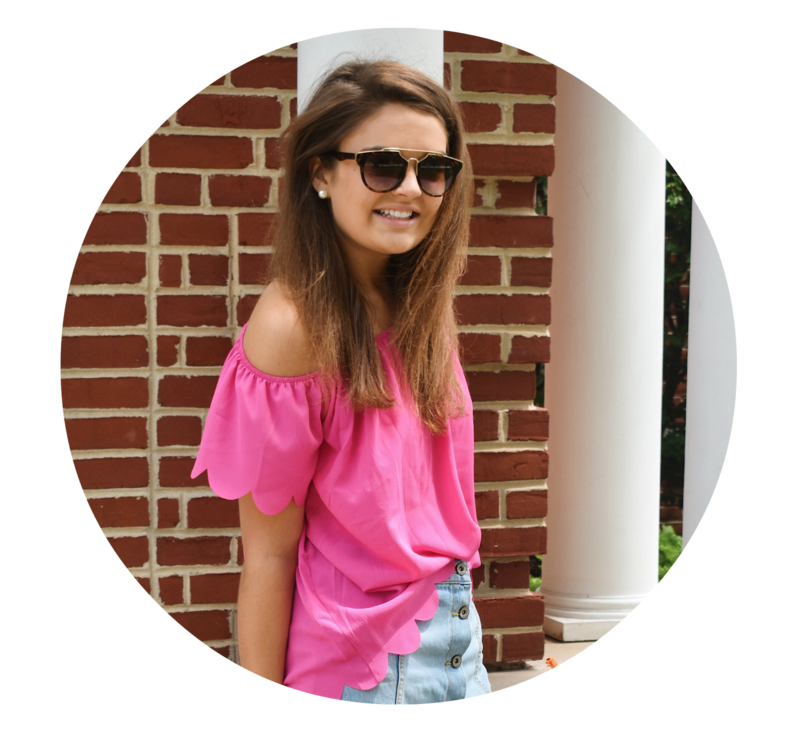 Hi Caroline- Your blog is absolutely adorable, and I am so glad that I stumbled upon it. I hope 2016 brings you balance in both blogging and your personal life. I love posts like this where you are just talking about what is on your mind. I completely understand you. It is also my senior year and I have been doing a lot of thinking and work. It is so weird thinking that my childhood is pretty much over. In a couple of months, I will (hopefully) get acceptance letters then go on my own and go on to college. Finding balance is important. I honestly have a hard time finding time for everything. Although, it saddens me a little to know that you will not be posting as often on your social media outlets, it also makes me happy that you are enjoying life. That is what I'm trying to do too. Good luck.